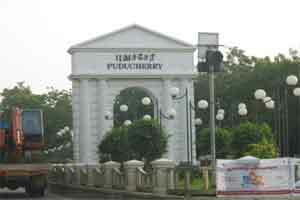 KARAIKAL: Puducherry Chief Minister N Rangasamy has said government was keen on commencing construction works for the Rs. 38-crore super-speciality hospital project. Speaking at an Iftar party held in Karaikal last night, the Chief Minister said government was paying special attention to improve healthcare facilities at Karaikal. “Super-speciality hospital construction works will begin next month and the Government has earmarked Rs. 38 crore for the project,” he said. He said Union Health Minister Jagat Prakash Nadda had agreed to set up a branch of India’s premier medical education institute, the Jawaharlal Institute of Post Graduate Medical Education and Research, Puducherry, at Karaikal. “We had been pressing this demand for long and the Union Government has now agreed,” said Mr Rangasamy. Construction work would commence early next year.